NEW TO MARKET! This immaculately presented and newly refurbished two bedroom terraced house is a must see. Benefitting from a fantastic commuters location and in the very heart of Gillingham this property will be sure to tick all the boxes. A short stroll from Gillingham train station, in close proximity to 'Kent's best primary school', great secondary schools and Medway Maritime hospital. Complete with a modern fitted kitchen and bathroom, cellar, and two double bedrooms. Whether you are looking to invest in the medway towns, downsize, or are a first time buyer, this well presented home will offer all you need. Call us today to arrange your viewing on 01634 855000 Double glazed door to: PORCH: Hardwood door to: LOUNGE: (4.02m x 2.77m) Double glazed window to front, carpet as laid, stairs to first floor, radiator. KITCHEN/DINER: (3.92m x 2.69m) Double glazed door to rear, range of wall and base units, space and plumbing for washing machine, built in slim line dishwasher, electric oven hob with extractor over with lighting, sink, boiler, splash tiling, vinyl flooring, CELLAR: BATHROOM: Double glazed frosted window to side, L shaped bath with shower attachment and mixer taps, wash hand basin inset vanity unit, low level WC, towel rail, tilled walls, tiled flooring. 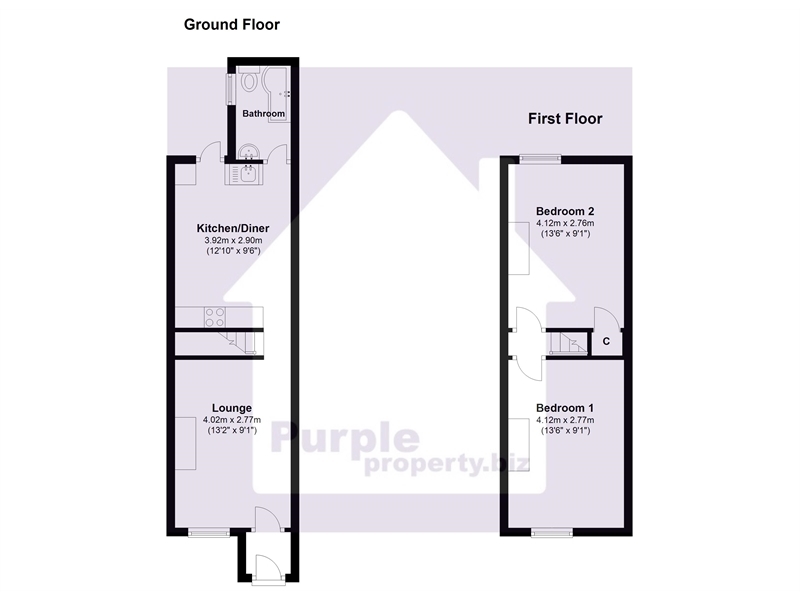 FIRST FLOOR LANDING: BEDROOM ONE: (4.12m x 2.77m) Double glazed window to front, radiator. BEDROOM TWO: (4.12m x 2.76m) Double glazed window to rear, built in cupboard, loft access. GARDEN: Patio, rear pedestrian access.